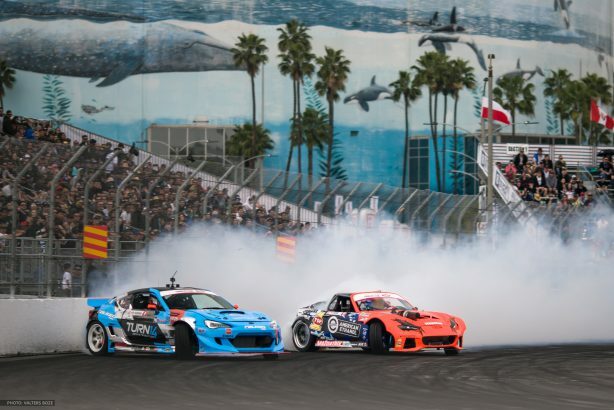 The Stratton Racing Team travelled 2,400 miles to Long Beach California to compete in the first round of Formula Drift PRO. This was Dirk’s first ever PRO event moving up from Pro2 for the 2018 season. 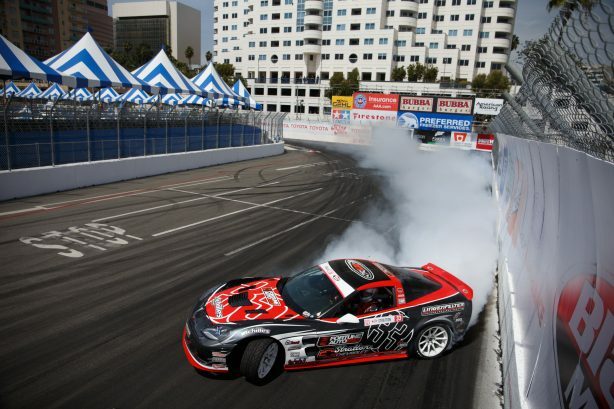 This event is held on the same famous street course as the Long Beach Grand Prix. It is a very tight, technical, and unforgiving race track. With limited time available Dirk learned the course quickly on the Friday practice session. That effort put Dirk in 14th qualifying position out of 30 drivers in his first ever PRO event. 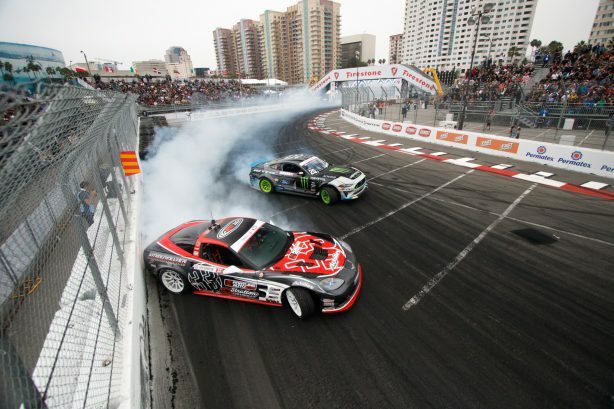 The result put Dirk up against Vaughn Gittin Jr who qualified 19th for the Top 32 battle. Unfortunately this took Dirk out of competition. 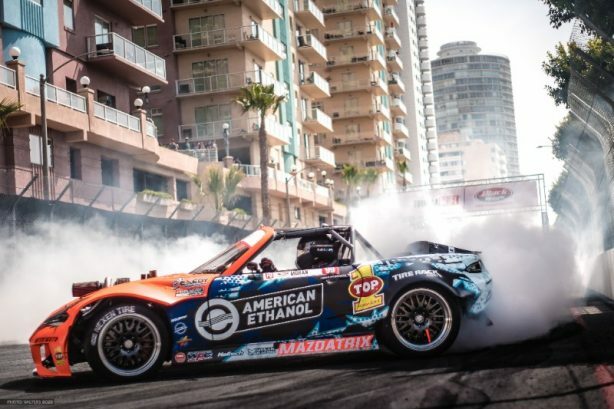 The DriftVette will be repaired before the next round of Formula Drift in Orlando Florida where Dirk will compete ranked 17th overall. 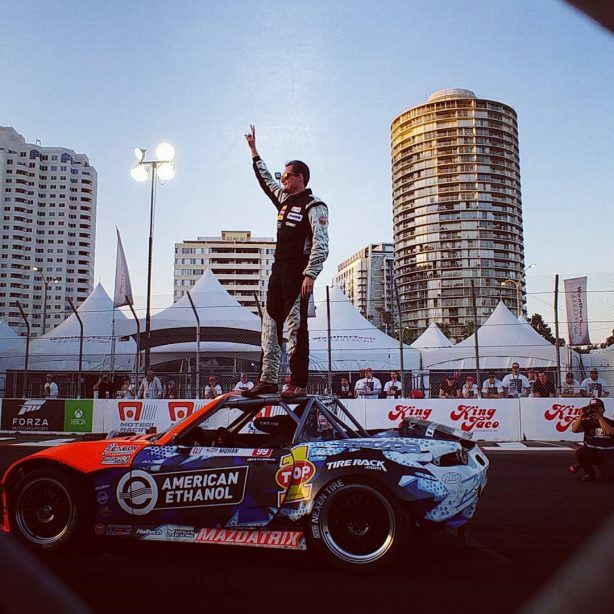 Kyle Mohan Racing’s revamped MX-5 made its debut at Long Beach. While the chassis remains the same, the car has has some serious work done aimed at enhancing its performance. A rebuilt KMR 20B rotary motor is augmented by a new Precision turbo, HGT sequential gearbox, and Exedy racing clutch to optimize speed and shifting. The motor is controlled by Haltech’s Elite 2500 ECU. Kyle’s MX-5 hit the track keen to make the most out of qualifying on Friday. The day proved challenging with some minor adjustments required for optimal setup to navigate the tight track conditions in tandem. Kyle took the line for qualifying, but after a good launch the car put too much torque onto the axle and broke the vital component. The team worked hard to install a backup axle with minutes to spare before the second qualifying lap. Kyle took the line again, and made a strong qualifying pass with a score of 78, placing him in 24th going into Saturday’s Top 32 tandem competition. The MX-5 behaved itself well on Saturday and Mohan was able to lay down good runs in practice before going head-to-head against long-time friend and racing competitor Dai Yoshihara. Unable to defeat Yoshihara in the Top 32 battle, Kyle finished 24th overall in 24th.